We set out on a journey to find the world’s richest UFC fighters and we returned embarrassed for our sport. The biggest take away on searching for the how much money our favorites fighters are getting paid is that none of them are making enough money. Nobody in their right mind would ever argue that UFC fighters are overpaid for what they do. When was the last time you looked at UFC fighter salaries and said “wow that fighter is making way too much”? MMA may be the only sport in 2018 where this mental exercise does not happen. The UFC has positioned itself has the biggest league in mixed martial arts and they are very good at keeping the salaries of their athletes very small. It’s 2018, and with a few exceptions, UFC fighter salaries have remained relatively the same for nearly 10 years. No other sport in the world is like MMA when it comes to how they pay their athletes. For years rumors and reports of “handshake” deals in the locker room have tried to help ease our minds. After over decade of hearing these bedtime stories, we’re just buying it anymore. As a thought experiment here are some American professional athletes who on paper (yes, PPV bonuses and handshake deals, got it) made more than Conor McGregor…..
Rodney McLeod Philadelphia Eagles safety, Dion Sims Chicago Bears tight end, Montrezl Harrell Los Angeles Clippers power forward and Ish Smith Detroit Pistons point guard. Look if the prestige names of McLeod, Sims, Harrell and Smith don’t top Mystic Mac’s UFC pay, how far into the richest UFC fighters list could these gentleman make it? Top five? Top three? Second place?!?! 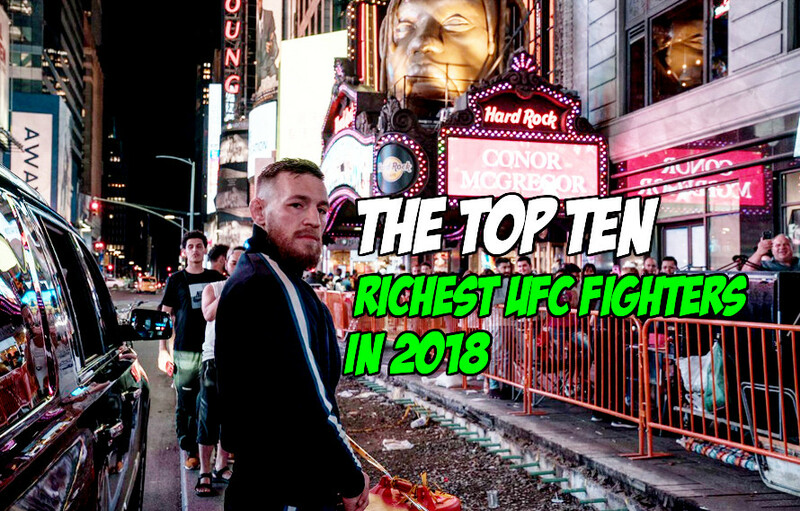 Here is MiddleEasy.com’s Top Ten Richest UFC fighters in 2018…..sweet Fight Jesus, these guys/gals need to be paid like real professional athletes. How much money has Jon Jones lost over the course of his career? A champion plus a new market for the UFC gets Bobby Knuckles paid. At The Predator movie premiere @robertboydholbrook . Francis Ngannou was treated like a big star by the UFC and paid like one as well. The first and only woman on the list, Cris Cyborg is an excellent businesswoman outside the cage. A pair of pay-per-view headliners nearly cracks Stipe Miocic into the top five. DC fought three times, became a two division champion and is criminally underpaid by the UFC. The Reem has always been an intelligent prize fighter outside the cage/ring. Mark Hunt got himself a sweet heart deal coming over from Pride and fought three times in 2018. If you’re not Conor McGregor, the best way to get paid by the UFC is to fight Conor McGregor. You already knew the answer. There is Mystic Mac then a huge gap between him and the nine other fighters on the list. Next articleONE Championship CEO Says He’d Never Sign Conor McGregor!